We have seen in the last two years a political continuity between the Bush and Obama administrations. They saved the bankers, but not the homeowners. They saved the auto executives, boards and investors, but not the autoworkers’ jobs, wages, benefits and working conditions. They saved the health insurance companies, but failed to give us a single-payer healthcare system. Similarly with energy. Neither Bush nor Obama would take on the coal or oil companies. Coal remains on the energy agenda of both, while Obama opened up oil drilling on the Atlantic Coast and in the Gulf just before the BP geyser in the Gulf. The real oil spill was not in the Gulf, it was in the Congress—where oil money has purchased the Senators and Representatives of Republicans and Democrats. 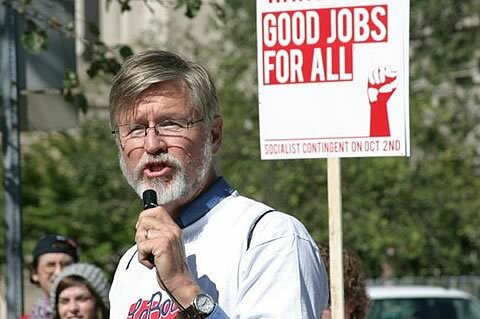 Dan La Botz is a Solidarity member and longtime activist in the labor, immigrants rights, and antiwar movements in Cincinnati.